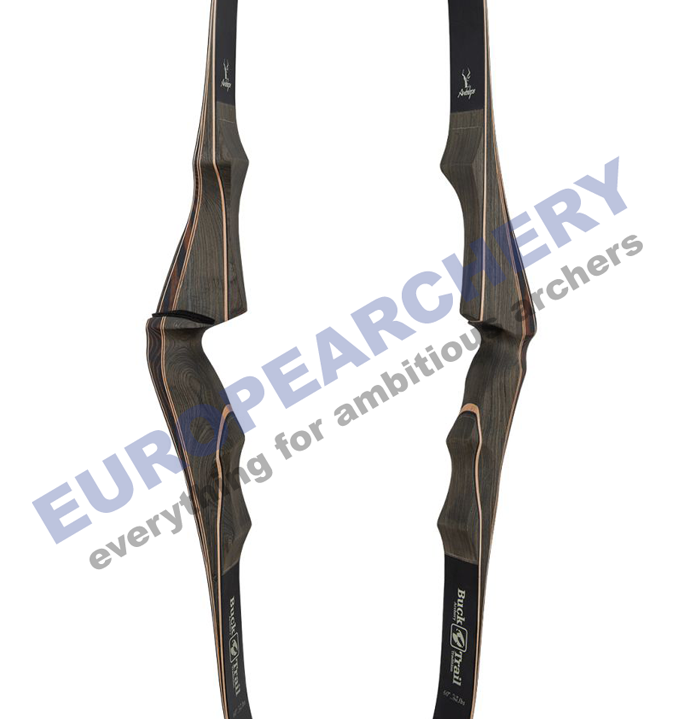 One piece 60" hunting bow available from 25lbs to 60lbs increasing by 5lbs with a 8" brace height. 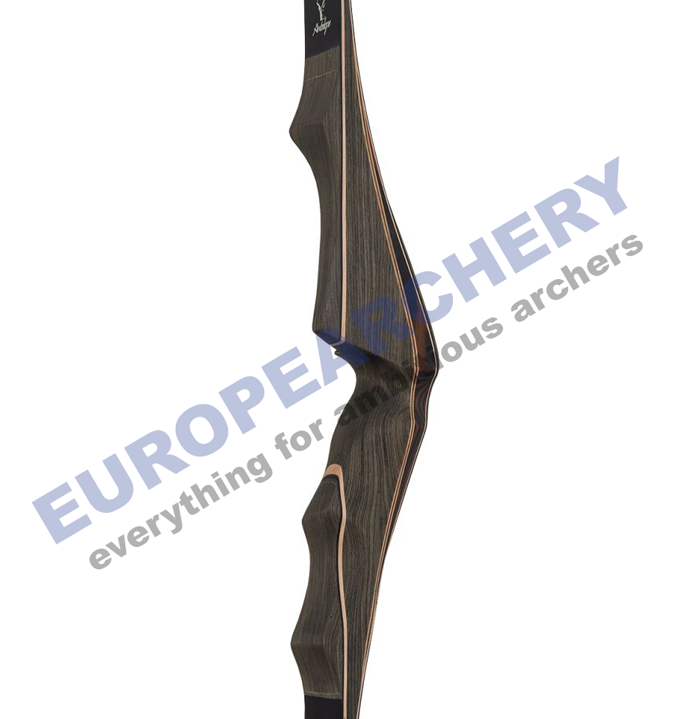 The riser is made of walnut and dymond wood with maple limbs and black fiberglass. 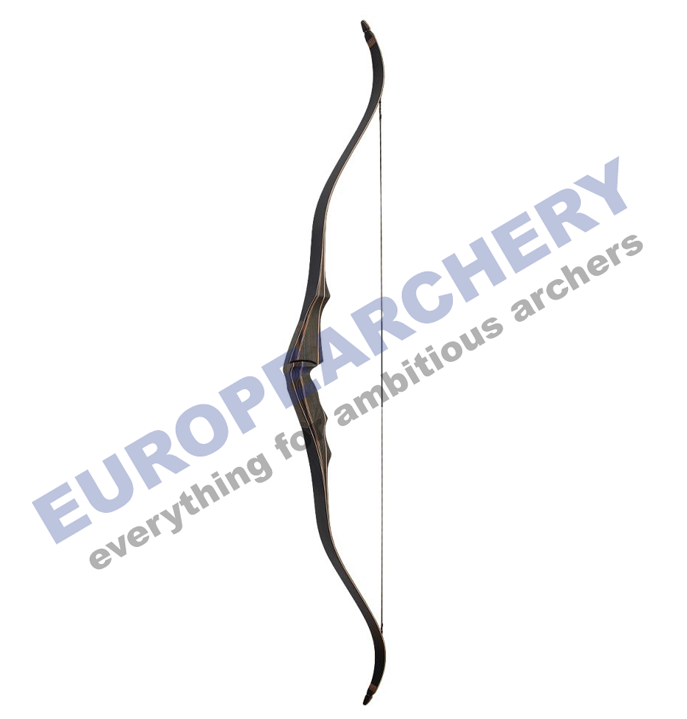 Comes with a Flemish Dyneema bowstring. The shelf and rest plate are included.